Fresh buffers are the only solutions for high protein performance! Suitable buffers are vital for your proteins. Buffers from Hypermol are made from analytical grade chemicals in ultrapure water, to meet your high demands. Here you find ready-to-use buffer with components of short shelf-life (ATP, DTT) for optimal conditions. As an example, the actin polymerization buffer PolyMix is supplied as a one step 10x stock solution: add 1ml of ultrapure water and mix 1:10 v/v with G-actin. 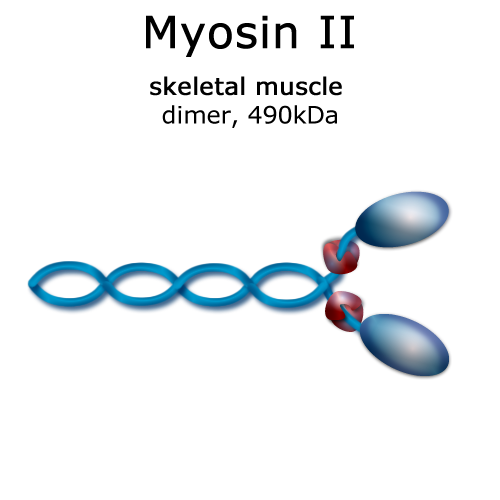 PolyMix is used to dilute F-actin and ligands, providing conditions meeting the demands of in vitro works with actin filaments. For high protein performance & convenient, time-saving bench work. 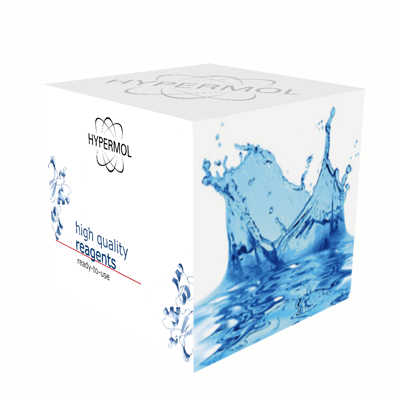 Buffers from Hypermol are made of purest reagents in Milli-Q™ water, as described in our publications. 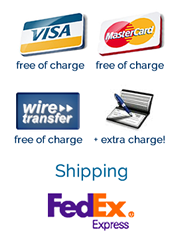 Validated product quality with Satisfaction Guarantee! High ionic strength buffer for soluble myosin II. DTT and ATP are additionally provided with the buffer to be freshly added before use. Physiological buffer to maintain or induce myosin II filaments. DTT and ATP are provided with the buffer to be freshly added before use. Reliable, convenient and always fresh DTT solution. Add 1ml of H2O to obtain a fully reducing 500mM stock solution. CryoProtect is used for long-term storage of myosin and NEM-Myosin at -20°C, with maximum preservation of biological activity. Ready-to-use. MonoMix is a G-actin buffer for dilution of G-actin or G-actin ligands. Add 1.0ml of H2O to obtain a fresh 100mM stock solution. Powder: 100mM ATP, 5.0mM Tris-Cl, pH 7.1. CryoProtect is used to store soluble proteins at -20°C, with maximum preservation of biological activity. Ready-to-use. Powder: 100mM ATP, 5.0mM Tris-Cl, pH 7.4. Rapid staining of single actin filaments with Rhodamine-Phalloidin. Suited for cultured cells & cell extracts. MgCl2 is a steril filtered, standardized 1M solution delivered in units of 2x1.0ml. The solution is made of ultrapure reagents in Milli-Q™ water. Fast and guaranteed safe protein labelling for orange fluorescent conjugates, developed for single molecule imaging. Rapid staining of single actin filaments with highly photostable 488-Phalloidin. Suited for cultured cells, cell extracts and actin assays.Green fluorescent Phalloidin.